Certain classics never go out of style. But sometimes, they can get a modern update, without losing any of their classic appeal that we love so much. 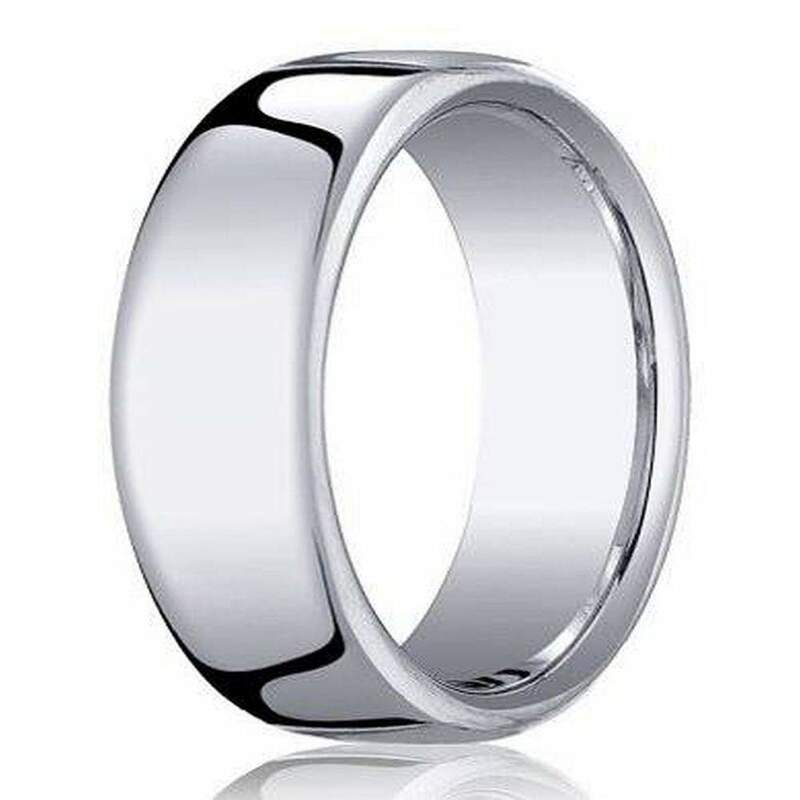 Our 7.5mm designer 14k white gold wedding band for men with heavy fit takes the classic style of a simple band, but gives it a modern twist with the white gold. Offering shine and luster that will last for years, it’s a simple solution to those who don’t want anything fancy, and just want a simple band to represent their new marital status. Handsome 14k white gold is formed into a timeless polished dome shape with comfort fit interior. 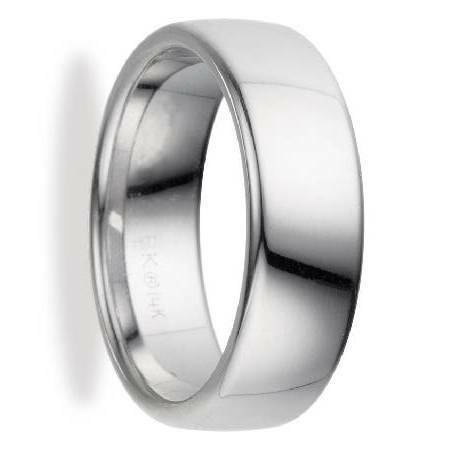 A 7.5mm wide band has a 2.3mm heavy fit thickness to make for a substantial yet affordable wedding ring. Looking to add an extra special touch to make it unique? We offer engraving of up to 30 characters including spaces, you can add a special saying, the date you met, or the date you married. For added comfort, our 7.5mm designer 14k white gold wedding ring for men with heavy fit offers a comfort fit band, for all-day wearability. Comfort fit bands usually measure half a size smaller due to the additional metal inside the ring. We recommend visiting your local jeweler to have your finger measured before ordering. If you have any questions, don’t hesitate to contact a customer service representative.